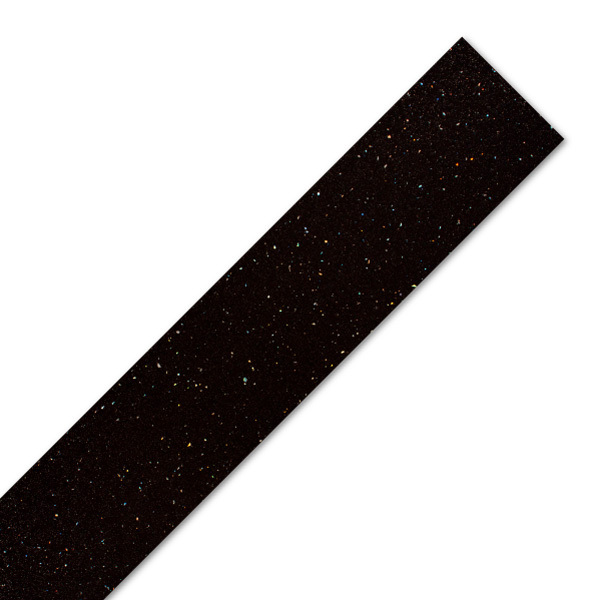 Our laminate edging strips are required to finish exposed edges on black sparkle laminate worktops that have been cut-to-size or had any other customisations, such cut outs for sinks or hobs. This Black Andromeda worktop edging strip can be easily applied using PVA glue or a similarly suitable adhesive. Once firmly attached, they can be trimmed and sanded to make a flush, finished edge with the worktop. Black sparkle laminate edge trim measures 1530mm x 45mm, and can be easily cut down into smaller sections to finish a number of laminate worktop edges.